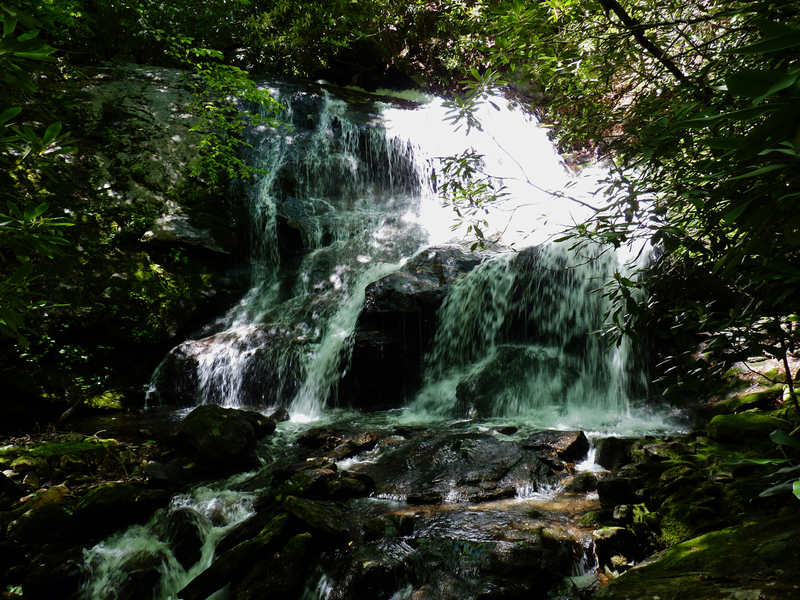 The Dill Falls (Lower & Upper) lie on Tanasee Creek in Jackson County, North Carolina. The lower fall is 50 feet tall, the upper 25 feet. From the intersection of NC Hwy. 215 and the Blue Ridge Parkway, go south on NC 215 for 2.6 miles. Turn right on FR4663. Follow this narrow road for just under 2 miles to FR4663B on the left (it may be hard to spot as you’re going up a steep hill at the junction). These Forest Roads may be closed in winter, thus requiring a 2 mile hike. At the parking area, there are two trails to the falls. 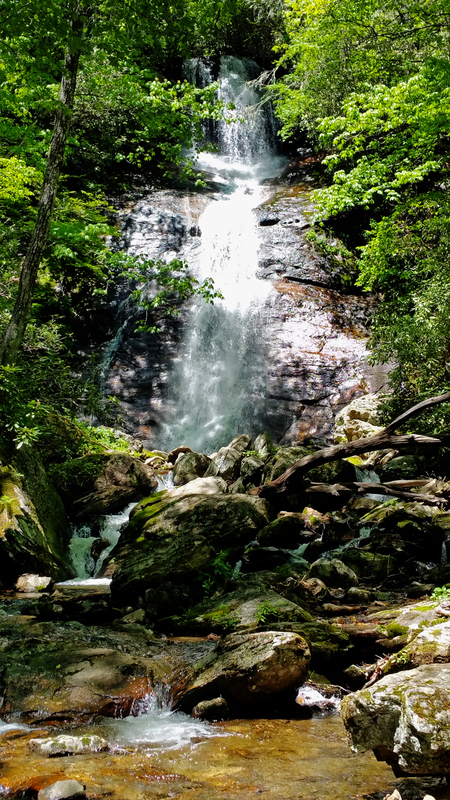 The downhill trail goes directly to the lower falls. The uphill trail to the upper falls levels out; then listen for the falls on the left. There is a primitive trail to the falls.